Wheatgerm is a great source of natural folic acid. But if you don’t have wheatgerm/soya or wheat bran, then you can just add more oats instead. Heat the oil in a large non-stick pan and add the mustard seeds. As soon as they start popping add the urad dal. Then add the green chillies, curry leaves and asafoetida. Add the oats and wheatgerm/bran/soya bran if using and mix well on a low flame for about 2 mins. Steam for about 10 – 15mins or until completely cooked through. 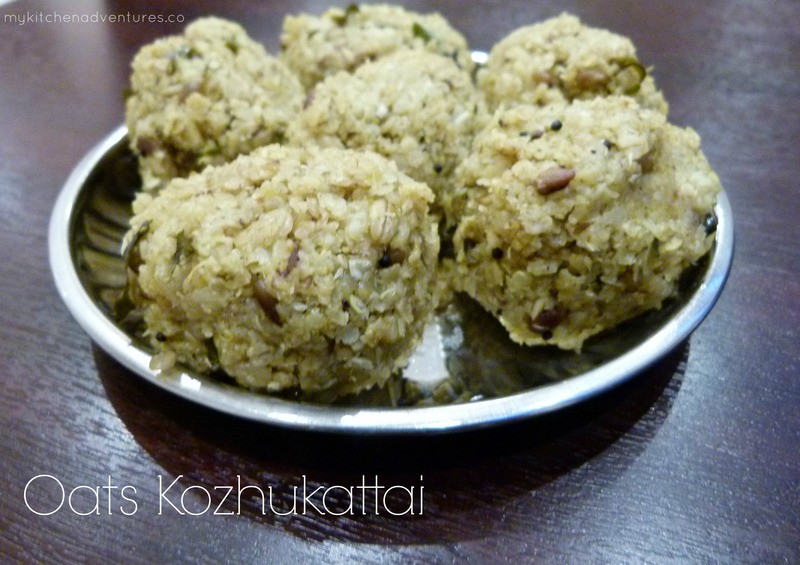 Serve hot with your favourite chutney or try it with a typical South Indian ‘Gotsu/Gojju’ . 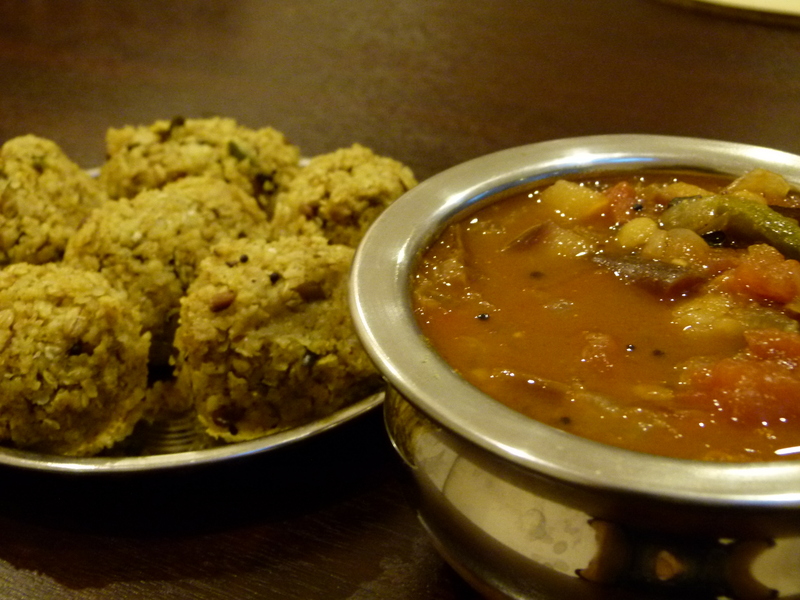 This is also great as a healthy tiffin by itself! If it has cooled down too much before serving, just pop it in the microwave for a minute.